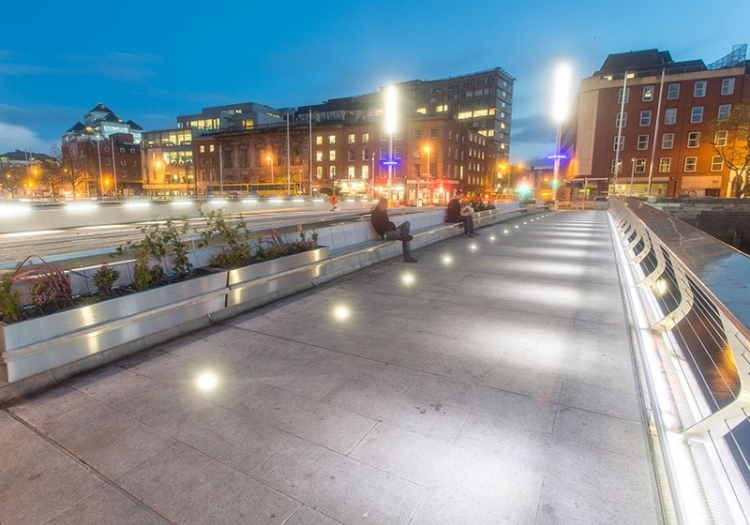 The new ‘Rosie Hackett’ Marlborough Street Public Transport Priority Bridge over the River Liffey Has been shortlisted for the Engineers Ireland Engineering Project of the Year Award 2014. 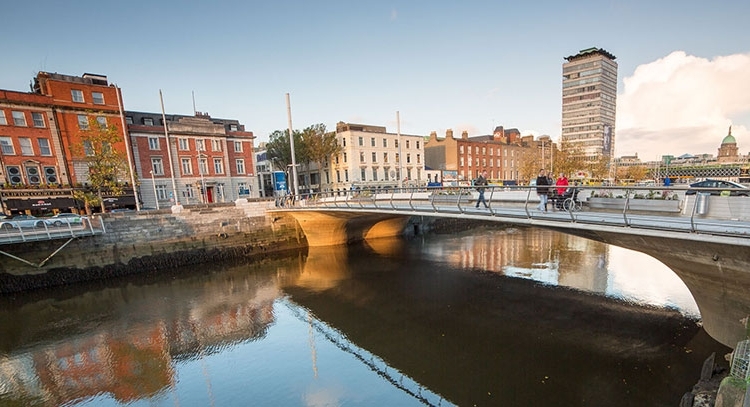 The bridge will form a key part of the public transport network being developed in Dublin City Centre. 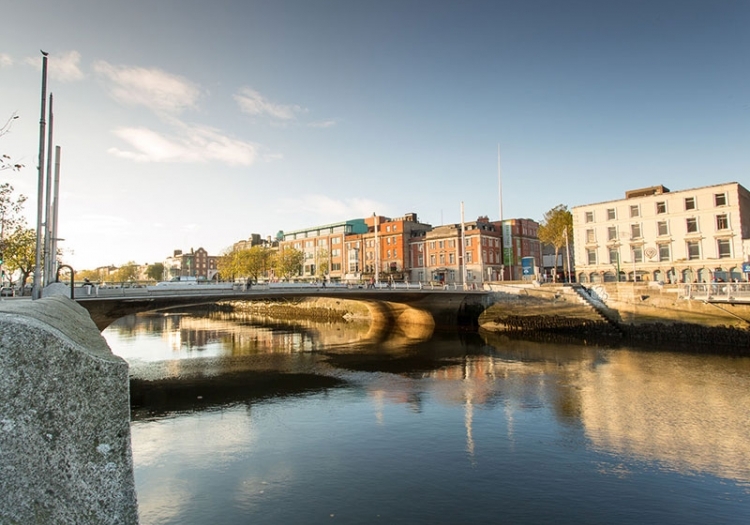 The single span post-tensioned concrete bridge will connect the north bank of the river at the location of Marlborough Street and Eden Quay with the south bank at Hawkins Street and Burgh Quay. It will provide a strategic link between the north and south sides of the City and carry the south bound Luas Light Rail line BXD. The bridge also provides two dedicated bus lanes in the southbound direction and accommodates cycle tracks and pedestrian walkways on both sides. The bridge was designed as a single span reinforced concrete structure to minimise the hydraulic impact on the river and its hydraulic capacity will exceed that of the existing neighbouring bridges. The soffit level will be higher than the adjacent Matt Talbot Bridge and so the existing navigational channel will not be restricted. The structure spans 47m, is 26m wide and has a span to depth ratio of 1:100. The bridge deck will be integral with the abutments and was de­signed to minimise longitudinal loading on the existing quay walls. The bridge is a portal frame, transmitting horizontal and vertical loads in to the overburden and rock below. High-strength concrete of 105KN/mm2 was specified for the bridge deck to achieve the structural depth required to accommodate the constraints imposed by navigational requirements and vertical alignment to facilitate the light rail crossing. 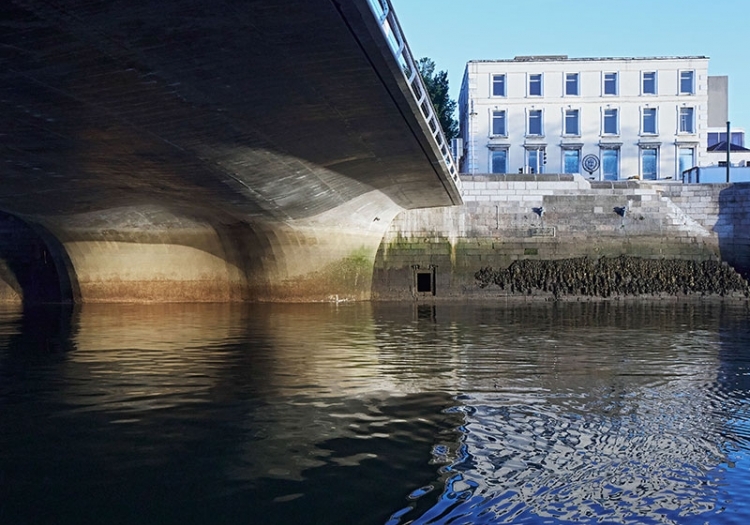 The soffit of the superstructure fol­lows a circular curve which tightens as it approaches the quays, forming the abutments. The abutments are supported on pile caps that straddle the existing Liffey Siphon, which crosses the river close to the bridge centreline. 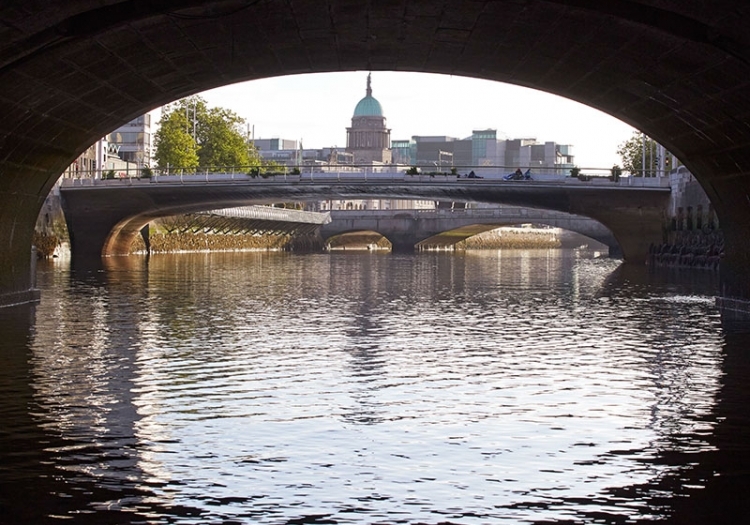 The Liffey Siphon itself is constructed of cast iron segments of circa 1320mm internal diameter lined with brick. The quay walls on either side of the river are of masonry construction and date from circa 1663 to the early 19th century. 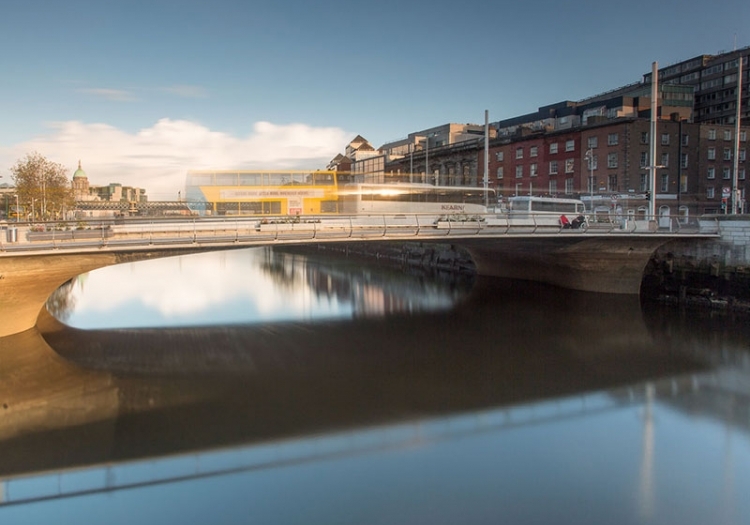 Following a restricted procedure tender competition, the construction contract was awarded to Grahams Projects Limited, who were also the lead partner of the joint venture that constructed the Samuel Beckett Bridge.